providing this service to you for free, the piece of mind from performing the task yourself is invaluable. Â There’s no need to trust someone else with your personal security. Â Whether you’re a seasoned veteran of the trade-in/sell process, or you’ve never done this before, don’t worry–we’ve got you covered. Â Itâ€™sÂ easyÂ to remove all your personal data and return your device to its factory settings. 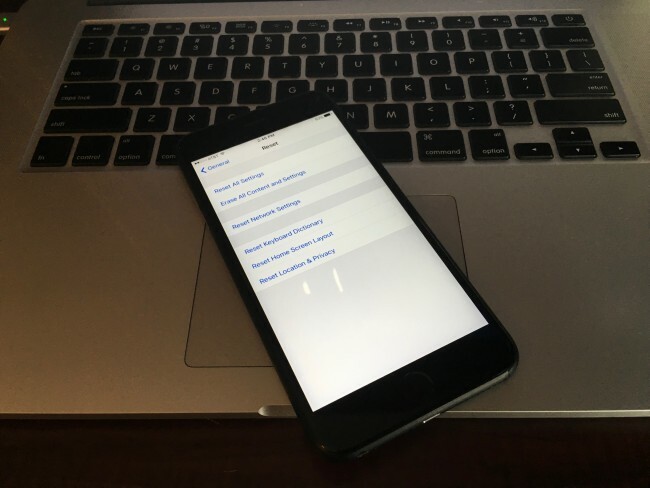 If you plan on restoring your new iPhone from aÂ previous back-upÂ you need to make sure you have a saved version to begin with. Â It doesn’t matter if it’s saved to iCloud or iTunes–either will work. Â On that note, there is absolutely no reason why you shouldn’t be backing up your iPhone to iCloud. Â It works automatically, seamlessly, overnight or during any other extended period of idle activity, as long as you are connected to a local Wi-Fi network. Â Start the process for the first time in Settings–> iCloud–> Backup. Â For more information about iCloud vs iTunes backups for iOS devices check out this info fromÂ Apple. If you use Find My iPhone to track the location of your iOS devices, you will need to remove it from this feature before you wipe clear all data from your iPhone you. Â When prompted, you will need to enter your Apple ID and password. Â This prevents someone else from doing this without your knowledge. 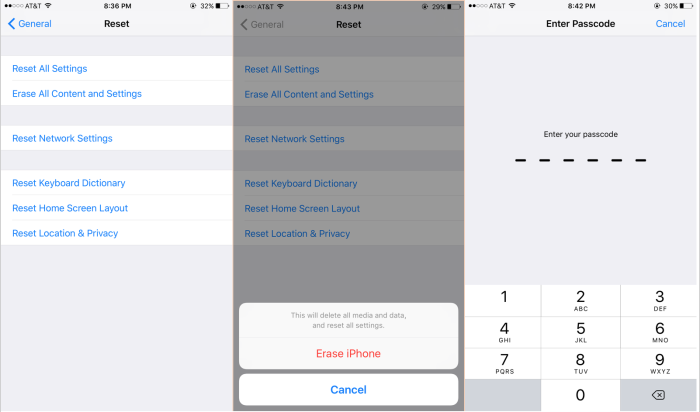 To removeÂ all your personalÂ data from your iPhone and set it up as a new device in preparation for sale/exchange open the Settings App and select General–> Reset–> and select Erase ALL Content and Settings. At this point your iPhone will be erased and removed from your account. Â In addition, the email associated with your Apple ID will also be notified alerting you of this action, as well as any additionalÂ devices associated withÂ the same Apple ID. Â Now your iPhone will go through and completely remove allÂ data from your iPhone, and all services from iCloud, iMessage, FaceTime, Game Center, etc will no longer be active on this device. Note: Â Apple cautions that you should neverÂ manually delete contacts, calendars, reminders, documents, photo streams, or any other iCloud data while signed in to your iCloud account, or this content will also be deleted from the iCloud servers and all of your iCloud devices. WithÂ Find my iPhone disabled the phone can no longer be located, placed in lost mode or remotely erased using iCloud.com/find or the Find My iPhone iOS App. Â In addition, your Apple ID and password will no longer b required for someone to erase, reactivate and use your wiped iPhone.